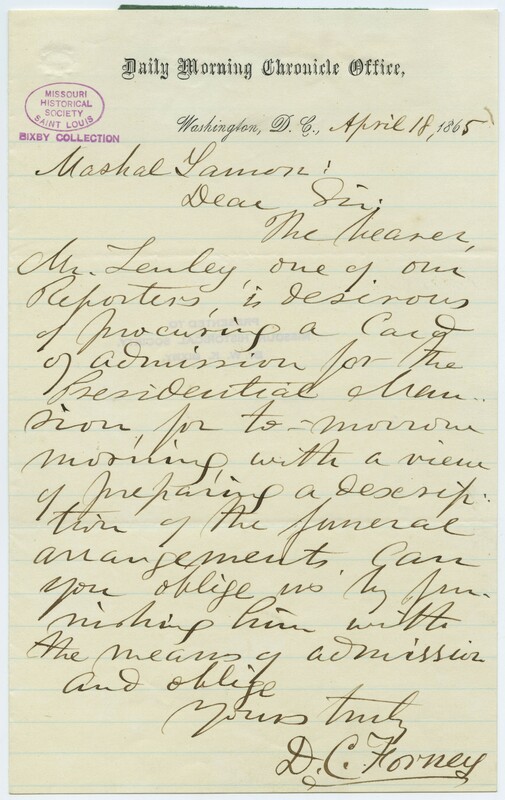 States, "The bearer, Mr. Lenley, one of our Reporters, is desirous of procuring a Card of admission for the Presidential Mansion, for to-morrow morning, with a view of preparing a description of the funeral arrangements. 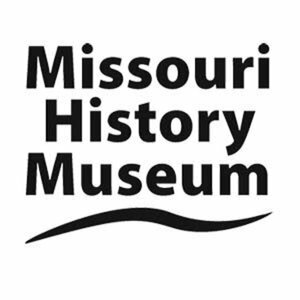 Can you oblige us by furnishing him with the means of admission. . . ."
Please contact the Missouri History Museum at photo@mohistory.org for permission to publish this resource.